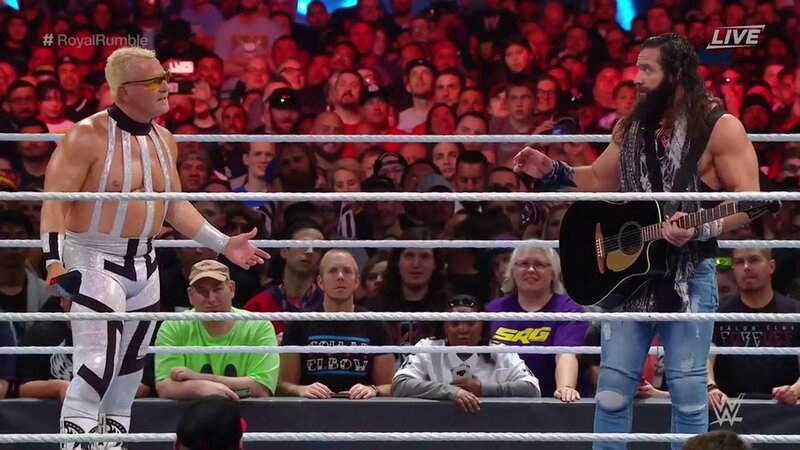 Sami Zayn answers John Cena’s US Title open challenge after being introduced by Bret Hart. Firstly, I have to give John Cena credit for his ability to ad-lib. That crowd was all over him, but he went with the flow. Like him or not, he’s great at it. What a career moment for Sami Zayn. He pops up on Raw, in his home town no less, introduced by Bret Hart no less, facing John Cena no less! I was actually a little irritated they started this match during the commercial break. I didn’t want to miss any of this one. So was Zayn’s shoulder injury a work? Were they setting up a weakness for his title match against Kevin Owens? I’ve got to believe that’s the case, considering how obvious they made everything from the trainer looking at him to the referee throwing up the X sign. Either that, or it wasn’t that serious an injury. In any event, Zayn gave the casual fans more than enough to want to see him on the main roster. It’s simply a question of when. Needless to say, this segment stole the show. Cena was obviously great here too. 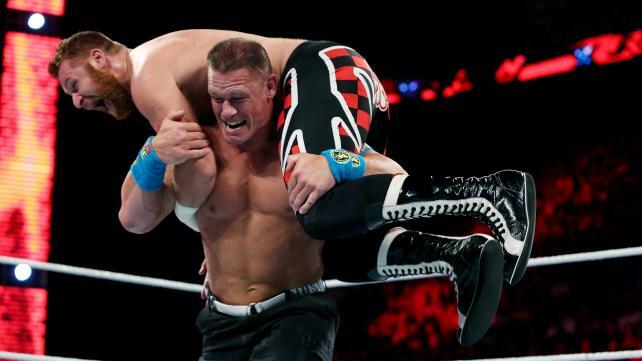 But after seeing him do it a few times, I’m not a fan of the “springboard stunner.” The obvious Steve Austin factor aside, the move doesn’t make a lot of sense to me, especially for a guy like John Cena. Kane: “I don’t believe I can allow the WWE World Heavyweight Champion to do nothing while his opponents are in action.” Um, that’s exactly what WWE did when Brock Lesnar was the champion. I’m just sayin’. Seth Rollins has been the champion for a little while now, and back in the rhythm of having a WWE Champion who defends the title every month. I can’t say I particularly miss having a no-show champion for months at a time. 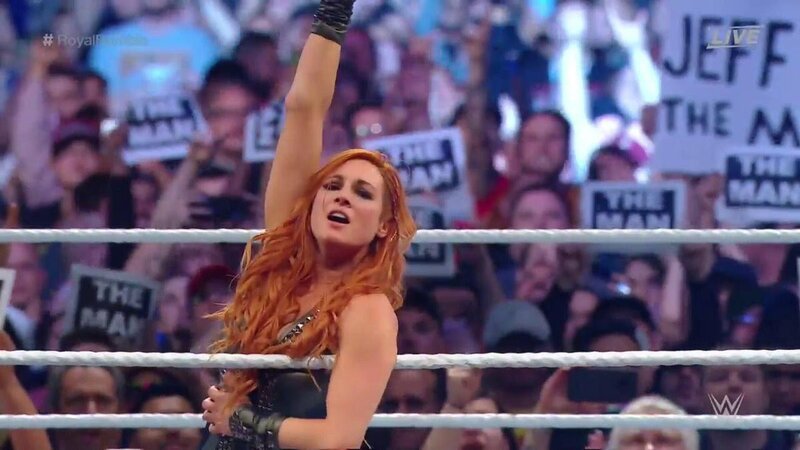 But I do miss that special big fight feel that surrounded Brock’s title defenses, and part of that did indeed have to do with the title not being defended every month. With the WWE Network being free for new subscribers in May, just as it was in April, and we’re basically giving another big show away for free, maybe now is the time to experiment with these pay per views. For instance, the King of the Ring concept could have been a great way to save Rollins’ next title defense until June. But that opportunity is gone. Maybe find some sort of special attraction? Incidentally, is it time to find something else to call these pay per views? After all, they’re obviously trying as hard as they can to ween us off pay per view, and on to the network. Dean Ambrose added to Payback main event after defeating Seth Rollins. Love it. Ambrose deserves to be in the main event scene as much as anybody. Rollins is obviously going to retain at Payback anyway, so there’s really no harm in adding Ambrose to the mix. Especially if he isn’t pinned. Hell, a Rollins vs. Ambrose PPV main event would be much more intriguing than seeing him against Orton or Reigns at this point. They consistently have great matches, case in point, the match we saw on Raw. Cesaro shines in tag match against The Ascension. In case you weren’t counting, that was 10 consecutive uppercuts to Konner, and the crowd was obviously loving it. And of course, the giant swing is always over. If you’re wondering why Tyson Kidd and Cesaro are babyfaces now, look no further than what we saw in this match. 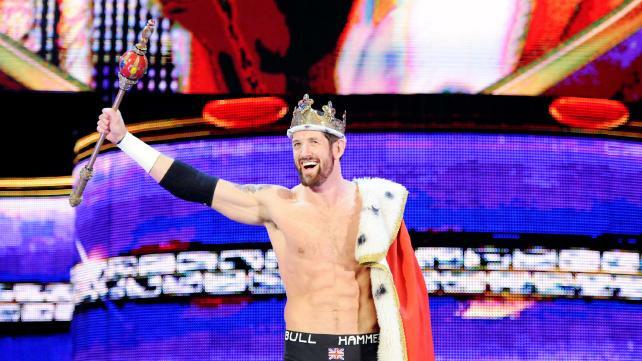 Bad News Barrett returns to Raw as King of the Ring. Yup. Called that one. So here we go. Barrett has some new life breathed into him, and I like the pairing with Neville. That makes it easy for Barrett to play the bully. Now the question becomes: Can Barrett stay healthy, and remain hot as a heel long enough to break through to the next level? Tensions continue to mount between Rusev and Lana. I’m really hoping they don’t break these two up. They’re such a great act, and while Rusev has improved tremendously from a personality standpoint, taking Lana away from him would be a big negative. I’m hoping this all turns out to be a ruse, and she ends up staying with Rusev at Payback. Fans chant “Goldberg!” at Ryback during his in-ring promo. I respect Ryback for calling the Montreal fans out on this, as it’s long since gotten old. I’m sure Bray Wyatt will end up beating Ryback whenever they end up clashing. But still, a program with Bray looks good for Ryback, who’s obviously looking to get that next tier. Whether the fans will ever take him serious enough for that to happen is another story. Global Force Wrestling to begin revealing their roster at press conference Wednesday. I’m very interested to see who Jeff Jarrett has been able to attract to GFW. There have to be some notable names on there for drawing power. It’ll definitely be worth checking out. This entry was posted in Wrestling and tagged boxing, Bray Wyatt, Bret Hart, Brock Lesnar, Cesaro, Dean Ambrose, Floyd Mayweather, Global Force Wrestling, Jeff Jarrett, John Cena, Kane (WWE), Lana (WWE), Manny Pacquiao, Mike Tyson, Montreal, Naomi (WWE), Neville, pro wrestling, professional wrestling, Rusev, Ryback, Sami Zayn, Seth Rollins, Tamina Snuka, The Ascension, The Bella Twins, Wade Barrett, Wrestlemania XIV, WWE, WWE King of the Ring, WWE King of the Ring 2015, WWE Monday Night Raw, WWE Payback, WWE Payback 2015 on 05/05/2015 by primaryignition.